Mt. 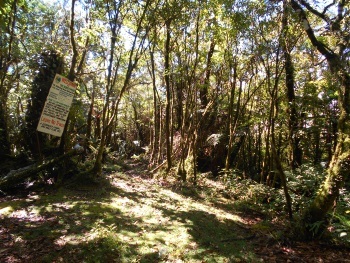 Malindang Range Natural Park is part of the Tentative list of Philippines in order to qualify for inclusion in the World Heritage List. Mt. Malindang is found in Mindanao island, in southern Philippines. The Malindang mountain range is not only a biodiverse site (home to a number of endemics), it is also blessed with crazy beautiful natural scenery, such as volcanic calderas which are now crater lakes, waterfalls, canyons and hot springs. It is home to the Subanon indigenous people, the caretakers and residents of the mountain. Visiting the inner part of Malindang is like a dream come true for me. There you have an experience of a paradise! I would love to see and to help in protecting the Malindang forest because of its high biodiversity value and huge contribution for the survival of human communities living and depending for its life-support system.